Marivic Dubria was moved to tears recalling a dark chapter in her past when she was stuck in a vicious cycle of debt. In the southern Philippines, farmers like Marivic commonly rely on high-interest loans from traders in exchange for selling their harvests at low prices—pushing profits down and keeping farmers locked in poverty. 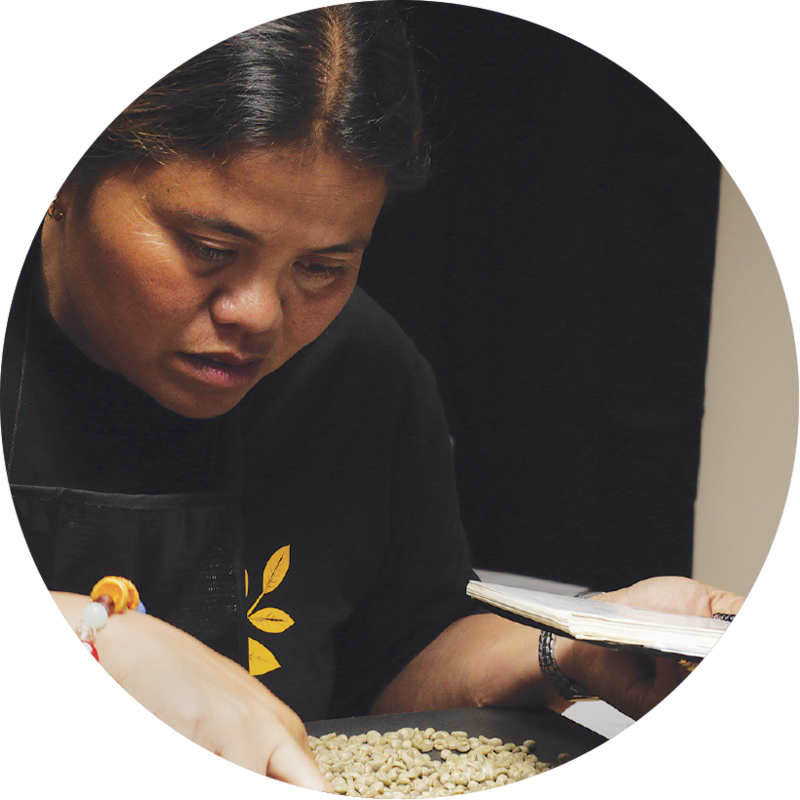 Today, the future is brighter for Marivic, who transitioned to coffee farming and is now a member of the Balutakay Coffee Farmers Association (BACOFA). To improve the quality of members’ coffee and fetch higher prices, BACOFA is working with the Mindanao Productivity in Agricultural Commerce and Trade (MinPACT) project, which is funded by USDA and implemented by ACDI/VOCA. MinPACT worked with BACOFA to teach members about the benefits of producing higher-quality coffee. Intrigued, Marivic and her fellow BACOFA coffee farmers attended MinPACT trainings on specialty coffee production and participated in coffee cupping events sponsored by the Coffee Quality Institute, a MinPACT partner. Following the harvesting, post-harvest, and bean selection protocols learned through MinPACT trainings, BACOFA farmers now successfully sell a portion of their product as specialty coffee and receive triple the usual price. MinPACT trainings also gave BACOFA broader exposure to regional, national, and international buyers. The value of incremental sales for our Zambia Production, Finance, and Improved Technology Plus project reached more than $117 million. Didier is from a small, rural town in a zona caliente, or “hot zone,” in Colombia, where rampant violence and armed conflict have claimed the futures of thousands of young people over the past six decades. When he was 17, Didier decided to leave his town on the advice of his mother, who wanted him to avoid forced recruitment into an illegal armed group. In his words, “young men don’t have a choice. They take you by force, to lose your life or endure abuse, lost somewhere in the jungle or mountains.” When he first arrived in metropolitan Cali, Didier found work in waste management, earning little money in a job that offered no formal contract, no benefits, and difficult working conditions. 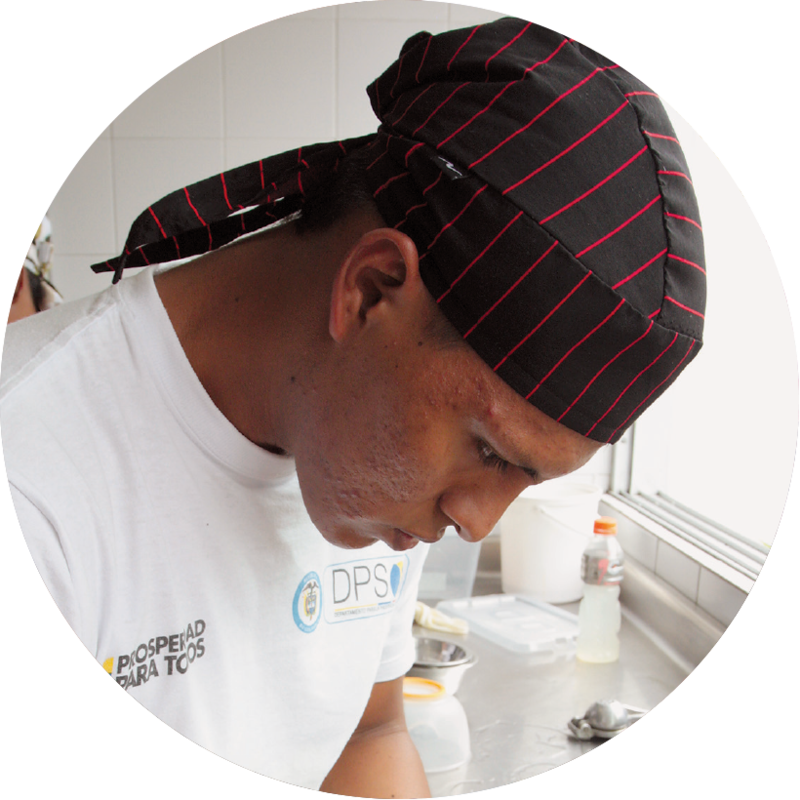 When he heard about the job training and placement program offered through the Afro-Colombian and Indigenous Program (ACIP), funded by USAID and implemented by ACDI/VOCA, Didier jumped at the chance to learn a profession and secure steady employment. Didier spent six months in a workforce development class while participating in a paid internship—perfecting his skills and focusing on his passion for cooking—and then secured a full-time position as a chef. For Didier, all the hard work is worth it as he is excited to start his restaurant career and savor his life. We’ve been linking individuals to powerful change, through our cooperative development activities and volunteer exchange program, since 1963. Our focus is inclusivity, seeking to connect stakeholders to activities and markets for sustainable, market-driven growth through vertical integration. By prioritizing people—farmers, teachers, entrepreneurs, community leaders—we stay true to our mission of fostering broad-based economic growth, raising living standards, and creating vibrant communities. In northern Ghana, where nearly half the population lives in poverty, agriculture is an important part of the local economy. In recent years, the introduction of mechanized farm equipment has led many farmers to consolidate their fields to allow tractors and other machines to more efficiently till the land. As harvests improved, however, farmers noticed the emergence of a new, prolific pest: a species of voracious black ants with a taste for corn—a staple crop in northern Ghana. As the ants feasted, yields decreased, and farmers grew increasingly frustrated in their attempts to eradicate the colonies. 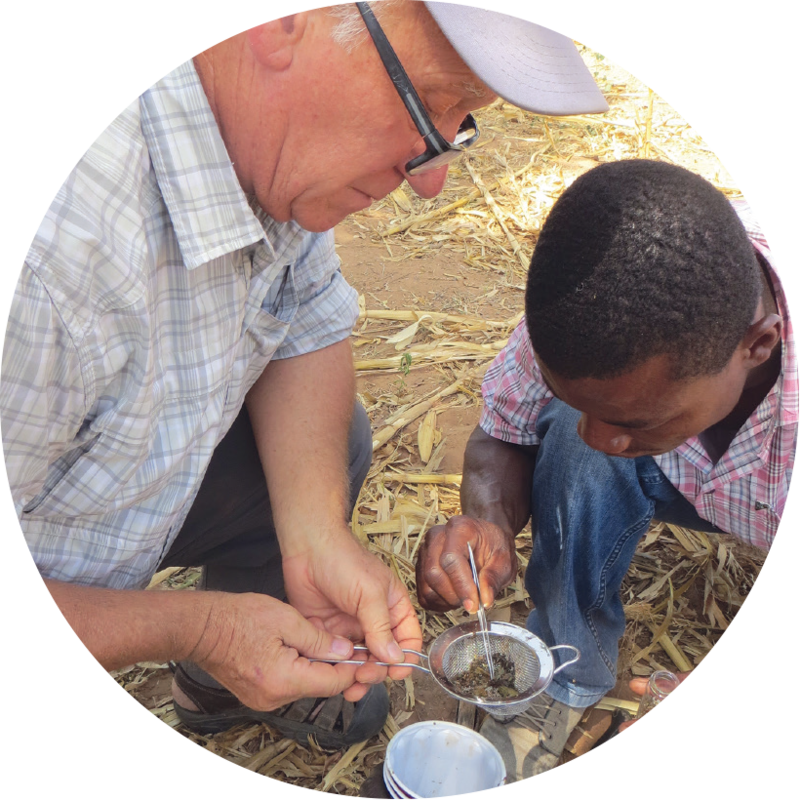 To help farmers find a solution to this problem, USAID Farmer-to-Farmer (F2F) volunteer Dr. Dan McGrath, an entomologist from Oregon with 26 years of experience, arrived in Ghana in November 2016. “Success or failure for farmers is measured in sacks of corn. Here, they pay their bills with corn,” he explained. 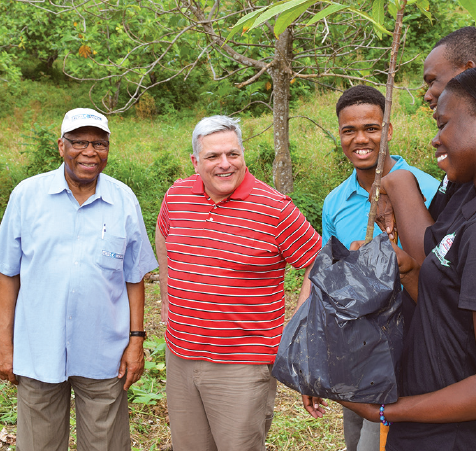 In collaboration with local farmers and universities, Dan set to work to identify the species, test various baits, and discuss strategies for controlling the ants. After much investigative work, Dan concluded that these ants flourished in the treeless, sunny landscape, while the numbers of competing ant species dwindled. 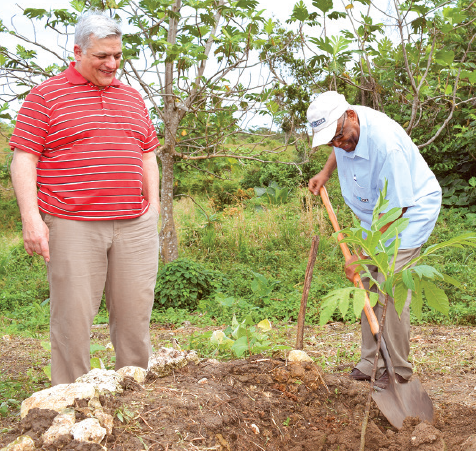 Dan proposed both planting more trees and the careful use of insecticide to re-balance the ecosystem, giving hope to farmers in the region. 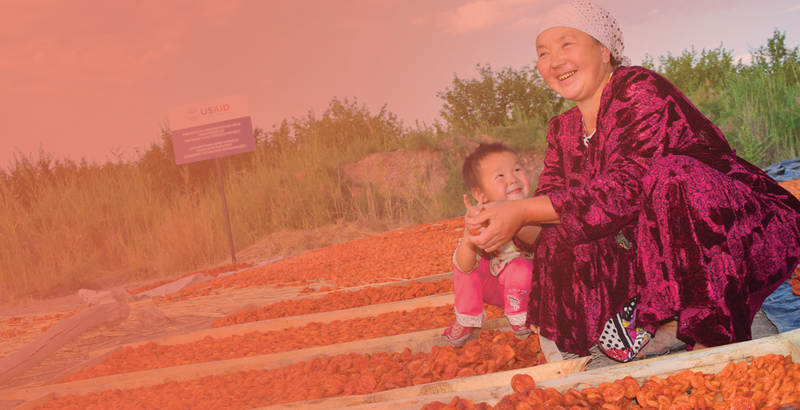 Through the USAID Agro Horizon Project in Kyrgyzstan, ACDI/VOCA leveraged over $26 million from 51 private-sector partners for food production and processing activities to benefit smallholder farmers. In 2016, our Sierra Leone Sustainable Nutrition and Agriculture Promotion Plus Emergency Food Security Program screened 30,000 children from vulnerable families for malnutrition. In collaboration with university students from Argentina, Brazil, Paraguay, and local architects, our USAID-funded Disaster Risk Reduction in San Pedro program designed a floating emergency shelter in Paraguay. Village savings groups and credit unions trained by our Liberia Livelihood Improvement for Farming Enterprises III project facilitated financial services to 5,000 farmers and provided loans worth $500,000 to community members. Since our founding, ACDI/VOCA has successfully partnered with private- and public-sector clients to address key development challenges. For us, building relationships is a core approach to creating beneficial outcomes for all. Driven by our mission to expand opportunities worldwide, we believe that partnerships help create jobs, expand wealth, and support increased trade and investment. Partnerships create lasting solutions. At ACDI/VOCA, we believe that introducing new ways of thinking and doing is essential to sustainable development. 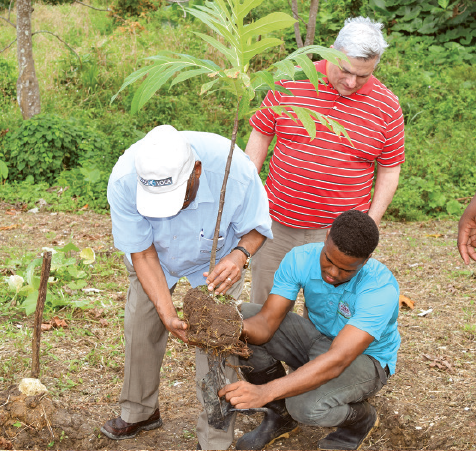 Our inclusive programs help stakeholders leverage market knowledge, new technologies, and upgraded skills to unlock their own growth and income opportunities. Through innovative and tailored solutions, we channel assets and energy to achieve results and increase prosperity. 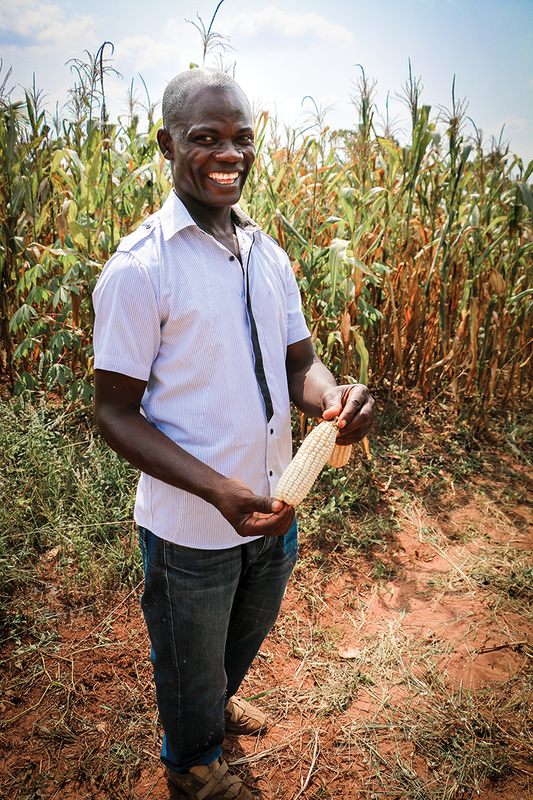 More than 320,000 farmers trained by our Tanzania Staples Value Chain (NAFAKA) project improved rice yields by 120% and maize yields by nearly 200%. Our USAID Mali Feed the Future Cereal Value Chain project helped more than 48,000 farmers apply improved agricultural practices across 57,000 hectares of land. 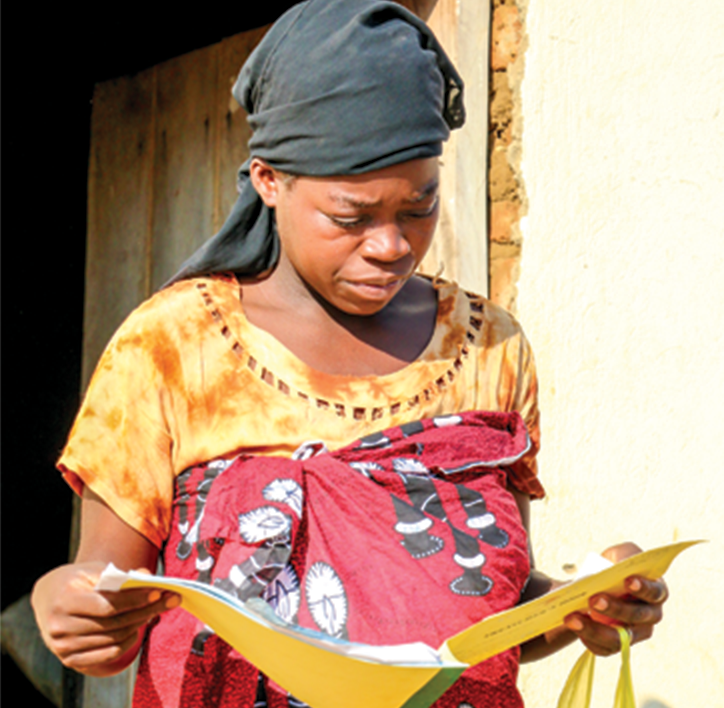 Our Uganda Resilience through Wealth, Agriculture, and Nutrition project worked with 3,500 leaders in 2016 to reach 140,000 community members with health and sanitation messages. In Colombia, our USAID-funded Afro-Colombian and Indigenous Program worked with the government of Colombia to leverage $1.4 billion in public-sector funds for investments into historically marginalized ethnic communities. For many years, rural farmers in eastern Zambia struggled to access good seed and fertilizer. Presented with few incentives do business, private-sector firms had little interest in selling to these farmers. Our Feed the Future Production, Finance, and Improved Technology Plus (PROFIT+) project partnered with a variety of private-sector actors to establish a network of 550 community-based agrodealers to bridge that gap and align interests between farmers, service providers, and buyers. At their shops, agrodealers sell inputs to customers, teach agricultural practices to help farmers reap the rewards of better supplies, and serve as middlemen between farmers and buyers. In turn, the private sector has seen increased sales of its products, and communities are selling more produce at higher prices. 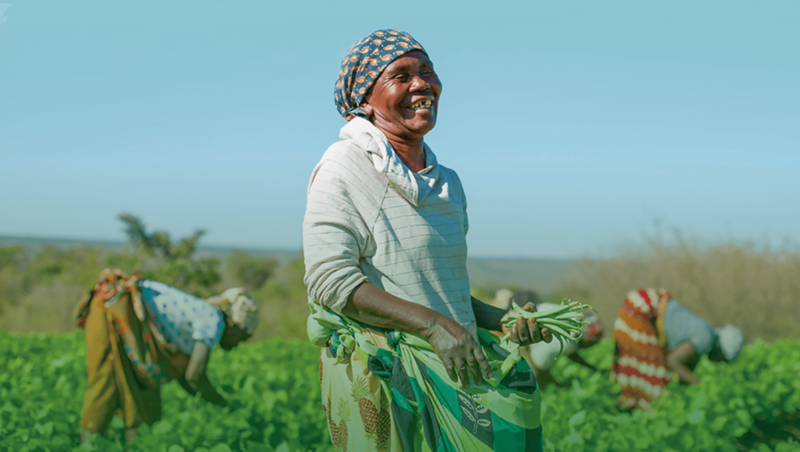 As an industry leader in value chain integration and public-private partnerships, ACDI/VOCA believes that shared value can play a seminal role in global poverty reduction and business growth. Farmers in northern Ghana have long grappled with small harvests as they lacked quality seeds and effective fertilizer, limiting food production and incomes. To improve food security and farmer profits, the Agricultural Development and Value Chain Enhancement (ADVANCE) II project, funded by USAID/Feed the Future and implemented by ACDI/VOCA, helped 18 private-sector companies to broaden access to high-quality, yield-increasing supplies. 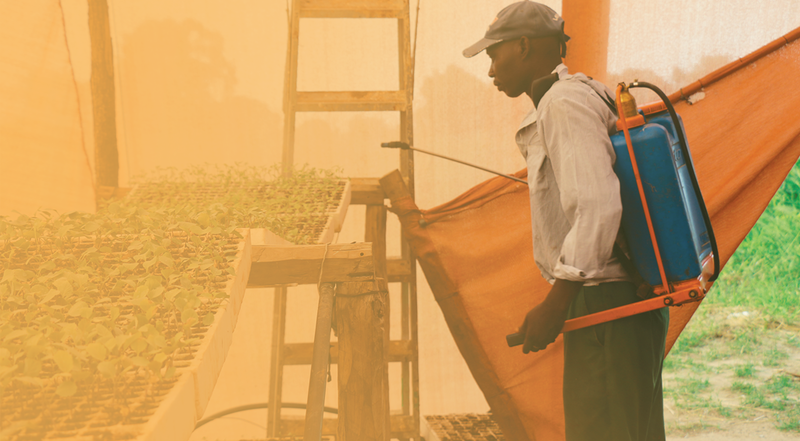 To ensure proper use of these supplies, ADVANCE II teamed with Ghana’s Ministry of Food and Agriculture to train more than 33,000 farmers at 350 demonstration sites. Private-sector suppliers distributed fertilizer, seeds, and other agricultural products, showcasing their wares and growing demand among new customers. Through these efforts, project-supported farmers in northern Ghana harvested more maize, rice, and soybeans than the national average, selling almost $60 million of these crops in 2016—a 200% increase from the baseline. 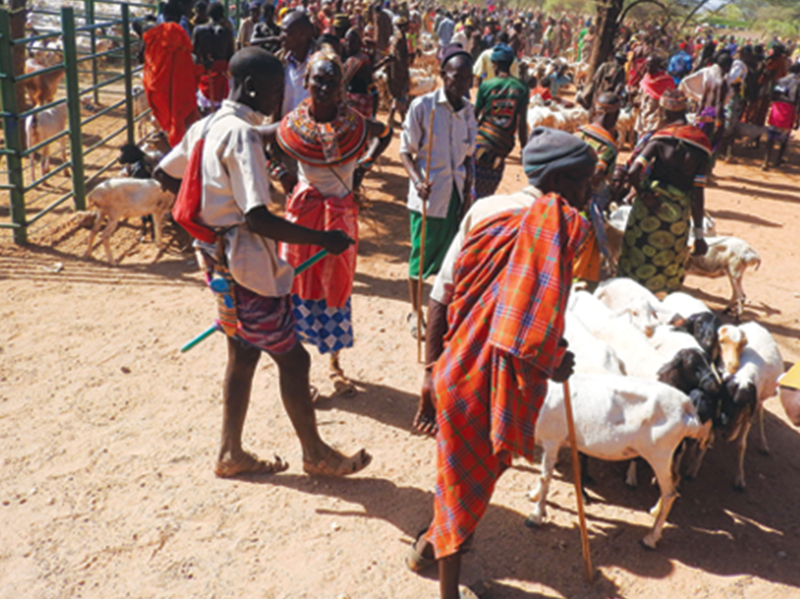 To create income-generating opportunities in northern Kenya’s arid lands, our Feed the Future Resilience and Economic Growth in the Arid Lands – Accelerated Growth (REGAL-AG) project worked with local government partners to upgrade and give new life to dilapidated livestock markets. After the renovations, markets now serve as local economic hubs, drawing livestock producers, traders, and local entrepreneurs from more than 19,000 area households. After the refurbishments, community members launched new business ventures, taking advantage of increased economic activity to work as translators, brokers, and transporters. By drawing on 50 years of experience linking value chain players, ACDI/VOCA incentivizes entrepreneurs by analyzing and balancing market forces, motivations, context, and constraints to identify efficiencies and maximize benefits for comprehensive change.